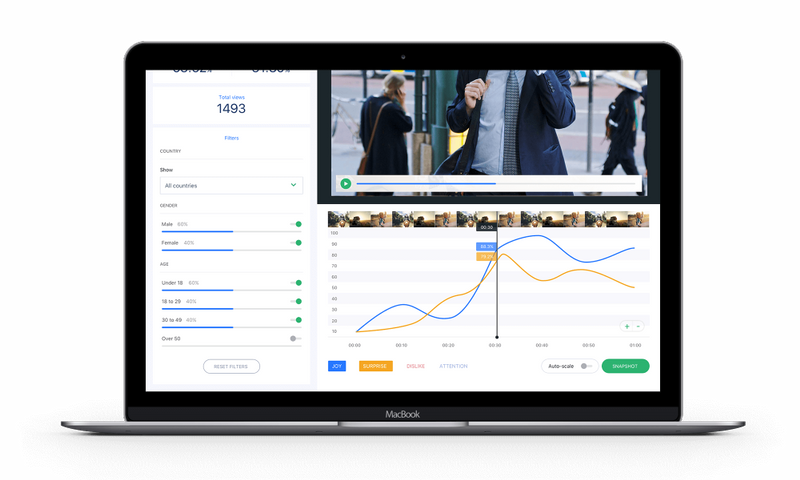 Kairos, a leader in facial recognition technology, is pleased to announce the acquisition of EmotionReader, an Ireland-based startup that uses algorithms to analyze facial expressions around video content. Co-founded by Dr. Stephen Moore and Dr. Padraig O’Leary in 2017. EmotionReader was backed by Enterprise Ireland, one of Europe’s largest VC funds. Dr. Moore, working from his Singapore base, had built an impressive R&D team in the South-East Asian country. As part of the multi million dollar deal executed this summer, Kairos will consolidate its R&D team into a new Singapore office, lead by Dr. Moore; taking advantage of the region’s AI talent and giving it a platform for an upcoming APAC expansion. “In our mission to fix biases in today’s face recognition algorithms, we’re thrilled to welcome to Kairos some of the best deep learning talent in the world." With EmotionReader’s research team on board, Kairos will be working hard to push the limits of current face recognition systems to be more accurate in real world conditions. Specifically, in optimizing the algorithms to work without bias on all races, ethnicities, genders, and ages of faces. And, as face recognition systems are adopted for new use cases, potential IP opportunities will be a focus to cement Kairos a leader in this space, including diversity of algorithms, automatic learning faces template as faces change over time (e.g ageing) plus offering anti-spoofing solutions for our customers. - Dr. Stephen Moore, Kairos’ newly appointed Chief Scientific Officer. With their support of Blockchain, Kairos is further democratizing the use of face recognition as a primary identity verification solution. They acknowledge that with this proliferation comes challenges of scale, because having algorithms that identify only a percentage of the world’s population, in a world rapidly migrating to digital identity verification— is simply not good enough. Kairos has shed a light on the biases currently inherent in face recognition algorithms, as they are inclined to misidentify people of color— specifically when deployed by law enforcement agencies. In a recent TechCrunch op-ed Brackeen addressed the algorithmic bias problem faced by the industry, and expressed Kairos’ commitment to improving it. Their acquisition of EmotionReader is a proactive step in the direction of progress, and will undoubtedly improve the integrity of algorithmic identification.